A sit-at-home protest by Biafran separatists shut down several cities in southeast Nigeria on Wednesday. 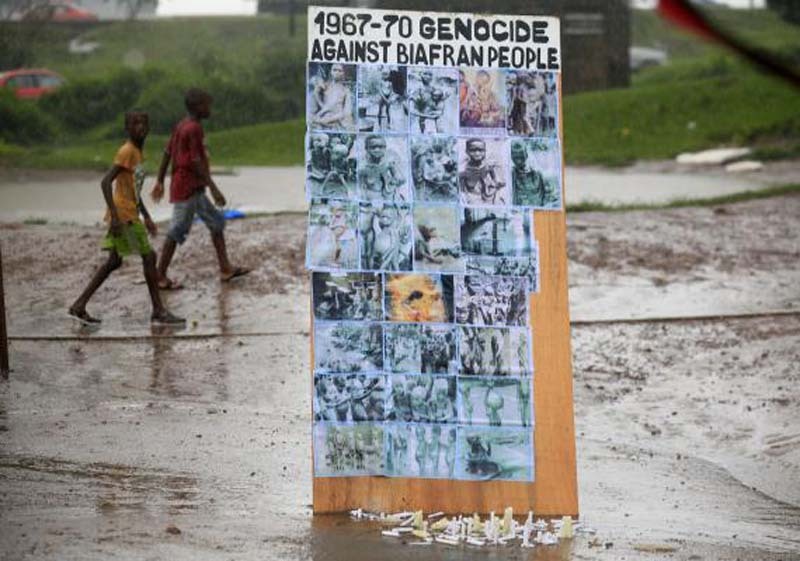 The Indigeneous People Of Biafra and Movement for the Actualisation of Sovereign State of Biafra called for the protest on the anniversary of the day the Biafra Republic declared secession from Nigeria in 1967. Streets were empty and all schools, shops and other businesses closed for the day in the cities of Onitsha and Aba. There was partial compliance with the protest in the city of Enugu, the capital of Enugu state, where some major markets remained open but the shop owners within kept their shops closed. Major transport companies in Enugu didn't operate Wednesday but banks and government offices remained open. Businesses, markets, government offices, schools, banks and parks remained open in the Ebonyi state capital Abakaliki city as security agencies patrolled the streets. Southeastern Nigeria is widely inhabited by the marginalized ethnic Igbo community who have accused previous governments of failing to develop their areas. The Indigenous People of Biafra and the Movement for the Actualization of the Sovereign State have led a resurgence of support for Biafra to secede from Nigeria. Indigenous People of Biafra leader Nnamdi Kanu faces charges of treason and hasn't been seen since his house was raided by the Nigerian military in September.